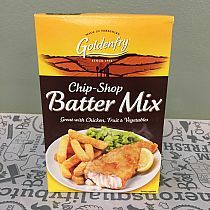 Fantastic for frying chips. 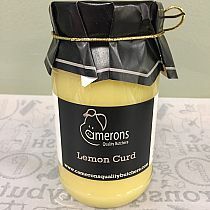 or can be used as an alternative to oil or butter. 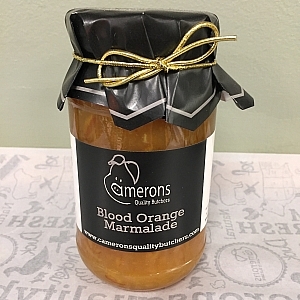 Rich and sweet, our blood orange marmalade is as close to home made as you can get. lay it thick on toast. Sweet with just a hint of sharpness. 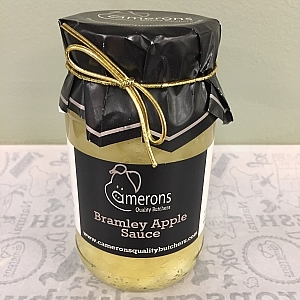 the bramley apples are left slightly chunky in our apple sauce, and any roast pork or hot pork roll just wouldn`t be right without it. 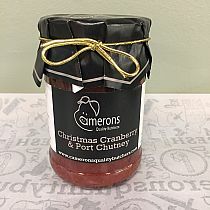 A great chutney to compliment any cheese board or ploughmans. 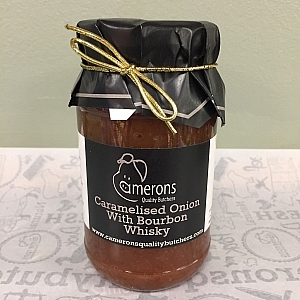 it has a smokey bourbon taste and is one of our bestsellers. 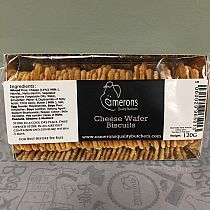 Cheese wafer biscuits are a great light snack or work well with a cheeseboard selection. 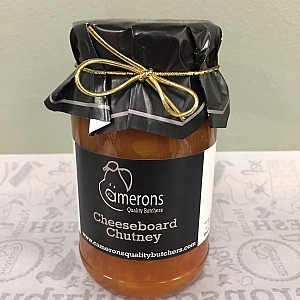 This cheeseboard chutney speaks for itself, a little bit sharp like all good chutneys. Goes perfectly with a range of cheeses. 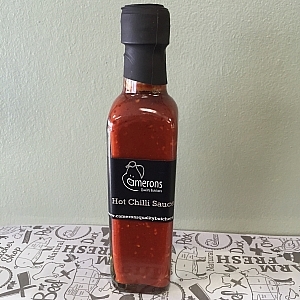 Be warned this sauce is hot! 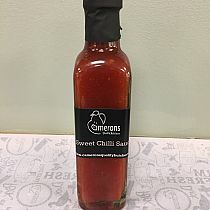 this sauce can be used to flavour sauces, chillies, also added to marinades, or just used as a condiment to add to pizzas or pasta dishes when you need a bit more heat. 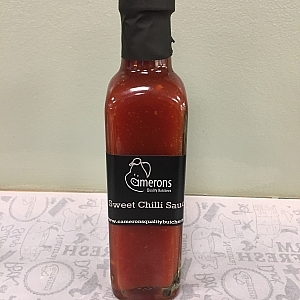 This sweet chilli sauce is a great dipping sauce for things like prawns or other meats. as well as a great condiment and a cooking essential. For perfect chip shop style batter every time, just add water. Not just for christmas this chutney packs a punch, a little sharp with a hint of port. A must with any good cheese board. Our personal favourite. 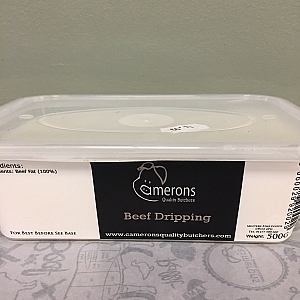 Goes great with any dark rich meat like lamb, beef, or game meats, where a sweet condiment is needed to compliment the meat. 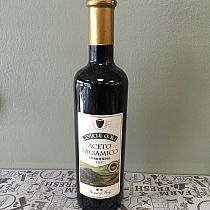 also goes very well with turkey, chicken and all other poultry. 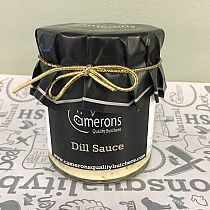 Dill sauce is a must with any seafood dish especially salmon. Regarded as one of the healthiest oils to cook with, extra virgin olive oil can also be used as a salad dressing when mixed with other ingredients. 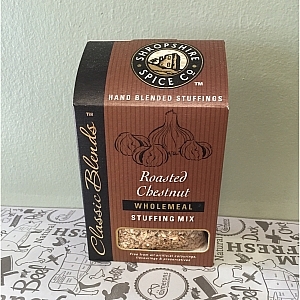 it also makes a very good base for marinades, just add herbs and spices and get creative. 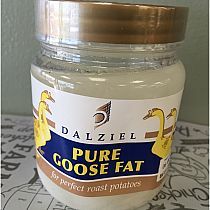 Pretty much the best thing to use for the best tasting crisp roast potatoes, so unless you`re roasting a goose and using the fat from the bird you will need a spoonful of this. 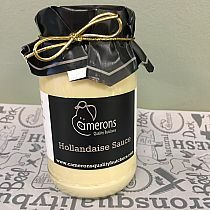 This creamy, buttery, slightly tangy sauce is perfect with poached egg, eggs benedict or over steamed vegetables like asparagus. 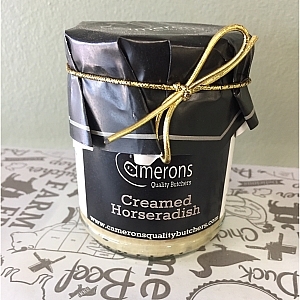 Great quality everyday horseradish. 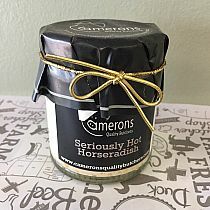 not too hot. 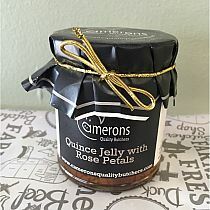 a Sunday dinner of roast beef just wouldn`t be the same without a jar of this on the table. Pure grated horseradish can be added directly to dishes. 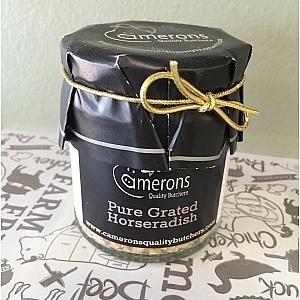 or if a recipe asks for grated horseradish, use cautiously as it is often hottest in its purest form. 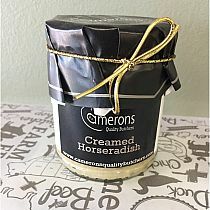 What it says on the jar this horseradish will wake you up if you forgot you put it your roast beef sarnies for lunch. use cautiously. this is our favourite on a roast beef Sunday dinner. Jim Beam cherry Sauce adds a rich and a sweet bourbon profile to grilled meats, baked chicken, even prawns and fish. 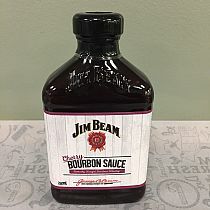 It’s made from only the most natural, authentic ingredients, not the least of which is Jim Beam Bourbon. Jim Beam BBQ Sauce adds a rich and a subtle bourbon profile to grilled meats, baked chicken, even prawns and fish. Perfect on toast or as a filler in cakes. Firm family favourite. 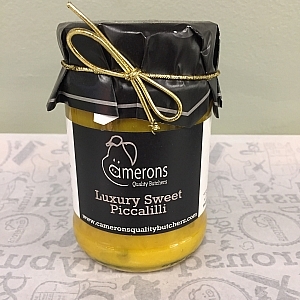 Piccalilli is a versatile british classic, slightly sour it can be used to accompany a cheeseboard or a hearty ploughmans supper, or just as a sandwich filler. 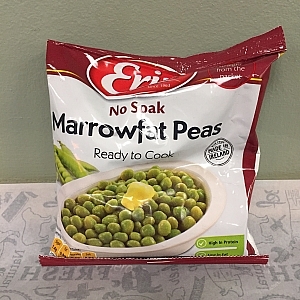 No soak marrowfat peas are a traditional favourite, an ideal accompaniment to roast beef, bangers and mash or good old fish and chips. no soaking required just cook straight from the packet. 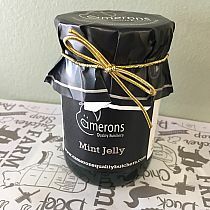 Our personal favourite to go with lamb, the mint jelly gives a slightly sweeter alternative to mint sauce. 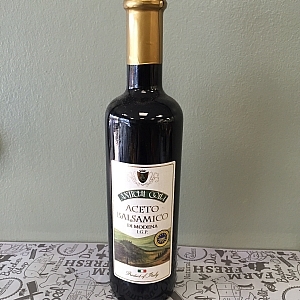 fantastic with shoulder of lamb or lamb chops. 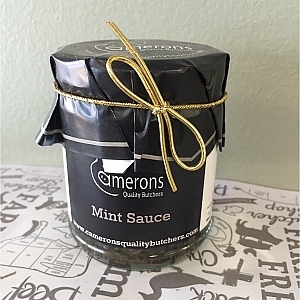 Mint sauce needs no introduction. 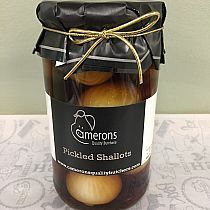 if you`re having lamb for a Sunday roast there needs to be a good jar of this on the table. slightly more vinegary than the mint jelly, this sauce has an authentic timely taste. Old fashioned english mustard is the go to condiment with a good thick slice of our wiltshire ham in a sandwich or ploughmans supper. 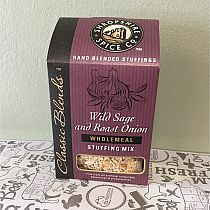 and of course roast beef. 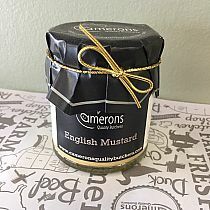 this mustard has a bit of a kick. 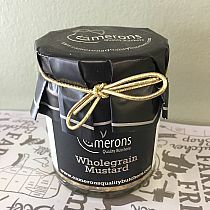 The wholegrain mustard is very versatile, we like to flavour all sorts of dishes with it, from putting a spoonful in with mashed potato to mixing it through a steak sauce. this good quality wholegrain mustard also makes its way into our pork and mustard sausages. Oat cake biscuits go very well with a good cheeseboard, they have a subtle oat flavour and a slight sweet hint which also makes them great as a snack. 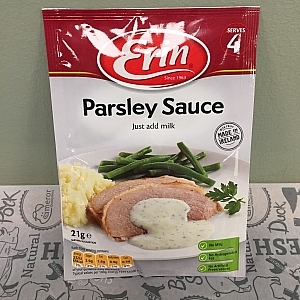 A classic full-flavoured sauce with a good pinch of parsley. This will compliment grilled cod or home baked gammon for a meal the whole family will enjoy. In our opinion shallots have to be pickled in malt vinegar for an authentic bitter flavour, chop some of these in half and toss through a salad or have them in a cheeseboard or ploughmans. 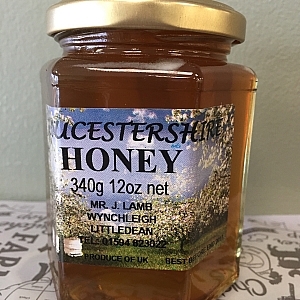 Made by friends of ours just down the road in popes hill, it is said a spoonful of honey from the local area can help against hay fever. 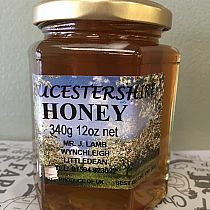 we`re not sure but this honey is delicious. 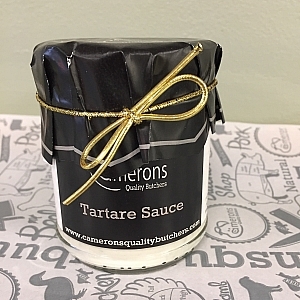 A fantastict accompaniment for any rich meat such as venison, wild boar. or equally nice for any meat that is slightly more fatty like rib of beef or shoulder of lamb. 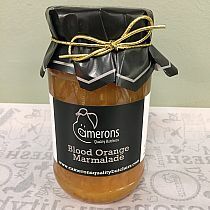 very subtle and sweet. this condiment always get people talking when seen on the dinner table. 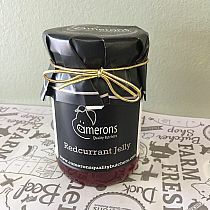 Serve redcurrant jelly with cold meats, cheeses and pork pie or spread a little jelly on top of a slice of goat`s cheese, grill and serve on some crusty bread for a quick starter or lunch. also a great condiment to use with all game dishes. 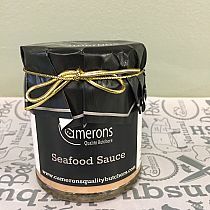 Seafood sauce goes with pretty much any fish dish as a condiment or can be the base of a tangy prawn cocktail. 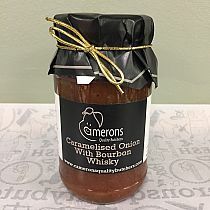 or just use it to dip those prawns in. 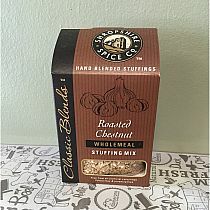 Not just a christmas stuffing mix, the roast chestnut stuffing is great with any poultry, beef, lamb, or pork dish. 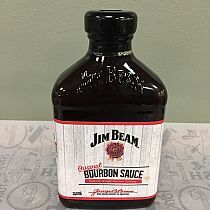 but just remember to save some to go with those cold chicken sandwiches. This special blend stuffing is a cut above a box of paxo. 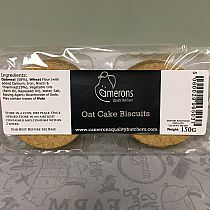 you can really taste the difference so not as much is required. 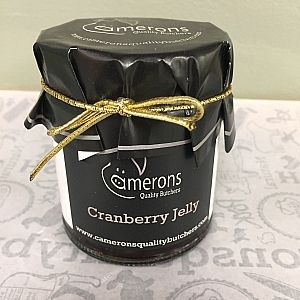 packed full of flavour. 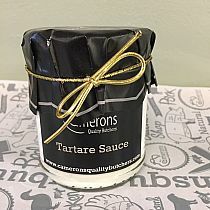 Tartar sauce is traditionally served with seafood, particularly battered and fried fish. 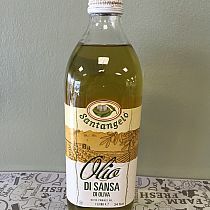 It may also be used with other fried foods, on burgers and sandwiches, or even as a salad dressing. 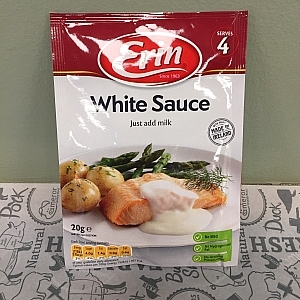 A classic full flavoured sauce. This will compliment baked ham, roast chicken or white fish for a meal the whole family will enjoy.